Today we share with you our thoughts on coffee machines Jura Impressa C60 and C65, we will explain the difference between C60 ws C65 and write few words about Jura brand. 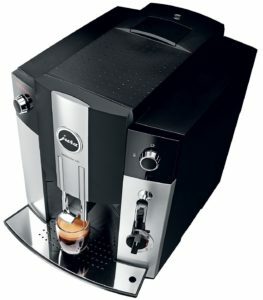 Jura is a Swiss company, and its specialty is the production of coffee machines. Therefore, its products are pure perfection when it comes to appearance, materials, coffee taste, and innovation. If you want a coffee machine that will prepare the best coffee you’ve tried at your own home without putting too much effort in it, then Jura is your best friend. The Jura’s engineers worked very hard to bring the finest coffee to your homes. These engineers have invented the Pulse Extraction Process (P.E.P.®), which pulls out full flavor from low-quality coffee as well. The Jura coffee machines are created in a way that everything you do with them becomes a simple task. The machine even recognizes the filters that it use and selects the appropriate settings. In the design of this machine, the company took into an account the materials they use, not only that they are made of 3mm aluminum but their company politics is also eco-friendly so they do not use an unnecessary packaging. Beside exceptional design, each coffee machine is distinguished by its high durability. In Jura company, there are two large production groups, those intended for home use and those intended for professional use. Jura Impressa C60 vs C65: What’s The Difference? If you have any doubts about whether you should choose Impresa C60 or C65, don’t struggle yourself anymore. The only difference between these two models is their appearance. Even their price is the same. When we look at these models of a Jura coffee machines, at first glance we are thrilled with their appearance. Made of black high-quality plastic in matte and gloss black color, this device is a synonym for elegance and simplicity. This would be a description for Impressa C60. When it comes to Impressa C65 the same look and shape of machine body are enriched with one more color and that is silver. Both sides of C65 are made in silver color while the rest of the machine is black. Smart Rotary Switch allows you to get the perfect coffee in your home with just one touch. –JURA fine foam technology – foam frother system makes perfect milky foam that also has a longlasting effect. Frothing has two stages, and milk is heated to its second stage. When frothing it is important that the temperature of milk is between 39–46 °F (4–8 °C). Multi-level conical grinder – this means that you can set the level of grinding from powder to coarse level. If you like your coffee to be creamy than this grinder can make coffee into the finest powder. You always set your grinder while using it. The grinder has an aroma preservation cover that keeps all the flavors untouched. Programmable amount of water – the amount of water can be adjusted for each preparation. You can always switch given standard „ oz“ to „ml“ in programming mode. Classic Power Switch off – you can choose from 15 min, 30 min, 1 hrs. or 15 hrs. It is programmable switch-off time. CLEARYL Blue Filter cartridge – this is optional and you can choose if you want to use it or not, but it is recommended to use it if water hardness is higher than 10 °dH. Water can affect the taste of the coffee. Integrated rinsing, cleaning, and descaling programme – it is important to clean your coffee machine on daily bases, parts of this coffee machine are not dishwasher safe but you can clean them easily with warm water. Rinsing is offered before and after preparing beverages and when turning the machine on or off, so it is basically clean all the time but we have to take care of it if we want it to last longer. These are all programmable options. We use descaling program only when filter option is off. Height-adjustable coffee spout allows you to pour your coffee directly into any coffee cup, whether it is a small espresso cup or a large cup. As you can adjust the height, it brings splashing of coffee on all sides to a minimum and reduces the cleaning time. The height can be adjusted from 2.6 to 4.4 inches ( 65 – 111mm ). Cappuccino frother – when preparing cappuccino you have to froth milk first, after that you prepare espresso a combine those two. When frothing you have to clean milk spout on daily bases. Powder chute for ground coffee – you can use ground coffee as well, but you can not use fine-powdered coffee because you can damage your coffee machine by blocking the system. The display will show you it the amount of ground coffee is too low. 1.9 L Water tank capacity – always rinse your water reservoir with cold water before filling it with cold water. You should change the water every day for coffee quality. The reservoir is easy to remove. 200 g Capacity per bean container– this is the capacity for whole bean container. The maximum servings from a coffee ground container are 16 servings. These two models Jura Impressa C60 and C65 are perfect because they gave you a choice when it comes to the appearance of these coffee machines. You only have to know which one will fit better with your kitchen. Everything else about these Jura models is pure perfection. No meather which one you choose, you just can’t make a mistake.